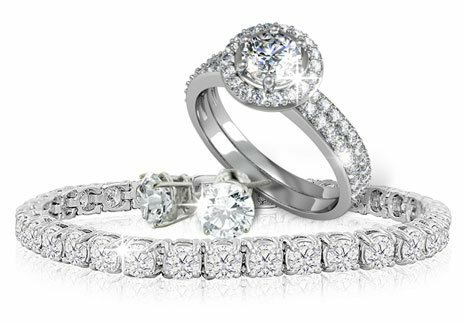 SuperJeweler makes buying EASY with our 60-Day Money Back Guarantee. You may return your item for ANY REASON, OR NO REASON AT ALL! It's Worry-Free, Hassle-Free, and Our Pleasure to Serve You! SuperJeweler’s friendly Customer Care Specialists will even help you to receive a better item at the same cost in the unlikely event that you are unhappy with an item that you receive. Your Happiness Is Our #1 Priority. Your Happiness Is Also Our #2, #3, and #4 Priority! SuperJeweler.com is dedicated to ensuring the satisfaction of your jewelry purchase and our services. If, for any reason, you aren't satisfied with your purchase you can return it, in its original condition, for a full refund or exchange within 60 days from the day the order is shipped. If you have any questions about our return procedure, we encourage you to contact us. Please remember that shipping charges are not refundable unless you receive a damaged or incorrect item. Place the item(s) you are returning in a box, including the appraisal card (if one was included with your order). Please include the packing slip with your contact information if you still have it. Otherwise, please be sure to include your contact information and exchange instructions if applicable. You can ship the return via any carrier. Be sure to ship your item fully insured, and request a return receipt for confirmation that your shipment has reached its destination. Once your item (s) is received, you will receive an email notification. The item will be reviewed by our quality control department within 3 business days, and you will receive an email notification regarding your return or exchange. You are responsible for the costs associated with shipping and insuring your jewelry for shipment back to SuperJeweler.com. Upon replacement of a stone or upon repair or replacement of the setting, SuperJeweler.com will ship the piece back to you and will cover all costs associated with shipping and insuring the piece.